Date: Nov 14 2018, 9 a.m. - 10 a.m. 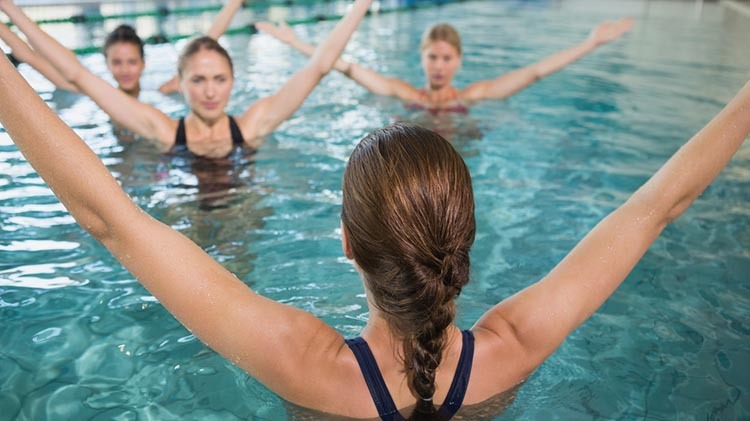 This shallow water workout includes calisthenics style movements with variations of upper and lower body resistive moves. Participants march, jog and ski through the water to create resistance to improve cardiovascular fitness, muscular endurance and flexibility.